Decision-support tools are great at helping employees find the right health insurance and other benefits options for them, but how do they work? Different tools use different algorithms to determine the best options for their users. Understand how they work, and you’ll know what to expect from yours. Decision-support tools (sometimes abbreviated DSTs) can help employees and human resources managers alike sort through the complex options in front of them for their benefits plans, especially health insurance. With open enrollment beginning to creep around the corner in everyone’s calendars, having systems in place to help with health insurance sign up is crucial. DSTs give employees manageable information and options using powerful algorithms that comb through huge amounts of data at inhuman speeds, presenting the user with a few simple options based on their inputs. The inputs required from the user, the data that is being combed, and the options presented all depend on the algorithm the DST uses. One common example of a decision-support tool algorithm is the calculator model. The calculator model is used by several DSTs in use in many offices around the world, as well as by insurance carriers and exchanges. In a nutshell, calculator model algorithms multiply user inputs by an estimated cost of service, usually in the form of a copay or expected cost-of-service coinsurance. 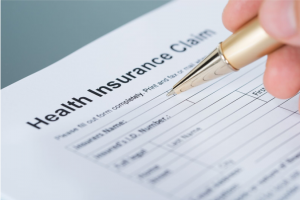 In order to arrive at accurate insurance costs for multiple options, employees have to input detailed medical information such as the number of service visits in the last year, prescription information for all family members under the health insurance coverage, and more. Usually, from an employee’s perspective, finding accurate information to put into the system requires research and estimation. 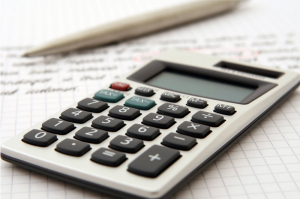 Calculator models also require employees to input sensitive and personal user information such as annual income, savings, and comfortability with risk to give them useful options and information about their healthcare options. Decision-support tools using the percentile-of-use method are more in-tune with employee needs. These algorithms map user responses to percentile-of-use and expected costs based on public data from 156 million insurance claimants and their health insurance usage. This data includes how millions of claimants use 26 types of services under their coverage. These services include office visits, labs, tests, prescriptions, and surgeries. The cost estimates that come from this algorithm are also adjusted by geographic area, giving users accurate premiums and copays. This relevant, personalized data is presented without any probing questions and research. Employees can plug in basic information they don’t have to look up, such as where they live and a rough estimate of how much they and their family use health insurance. The result is a much faster process that sets up employees with healthcare options in only three or four minutes. At the end of the day, you want your employees to be covered and your costs minimized. Most employees want to spend as little time as possible finding the right healthcare plan, and their haste sometimes results in ill-fitting insurance, costing themselves and employers with unnecessary expenses. Streamlining the process, yet using realistic and up-to-date data, steers employees to the right fit, and makes everyone happy.